I wanted to some extra buttons to ease using my favorite editor, Emacs. I implemented the a mod entitled Adding extra keys to your Kinesis Advantage. 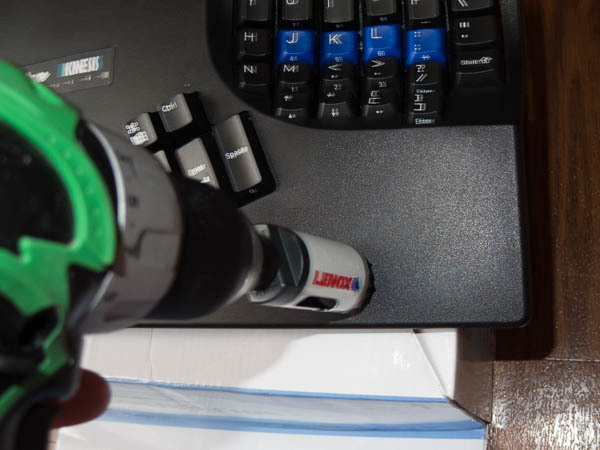 That mod adds an extra thumb key and the palm keys used in this article. 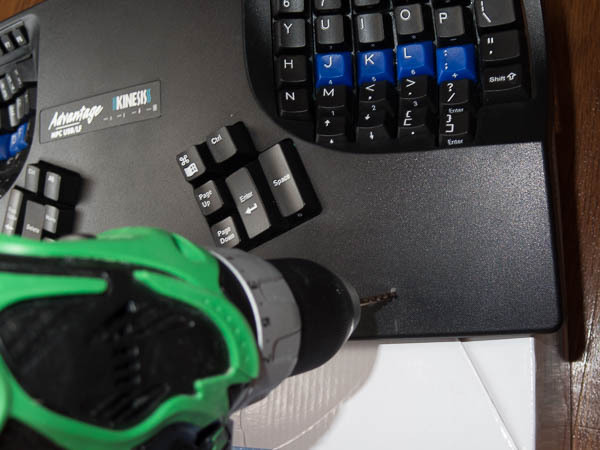 A Here’s the list of tools I used during the Kinesis mod. 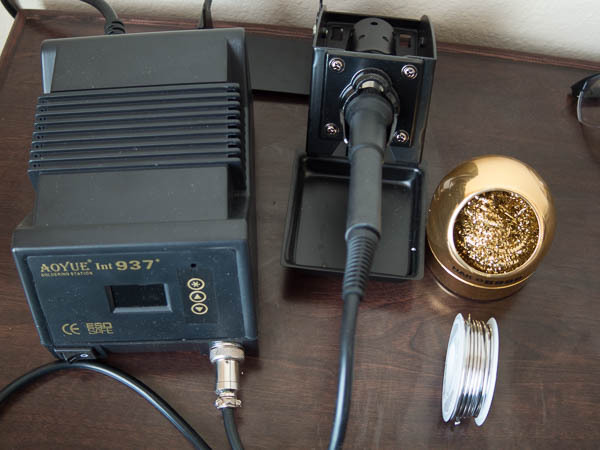 complete soldering station is over-kill for a mod this simple, but oldering the wires helps by adding some extra rigidity. 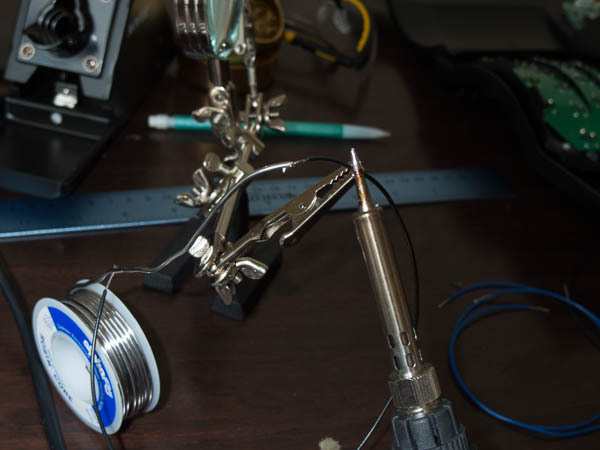 Figure 1: The soldering station I used. 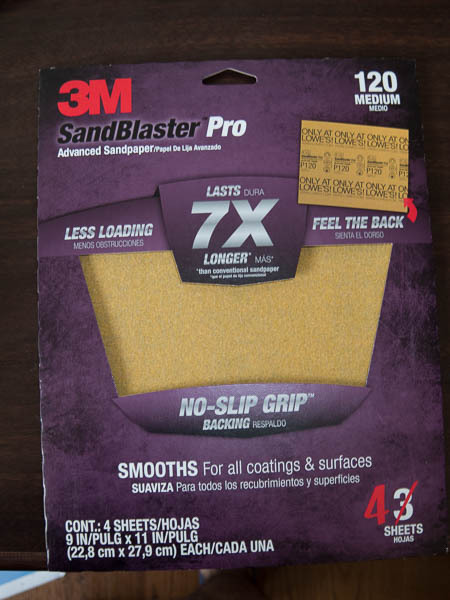 Figure 2: The sandpaper is used to finish the holes for the buttons. Figure 3: The wire stripper. Figure 4: The eye protection I used. 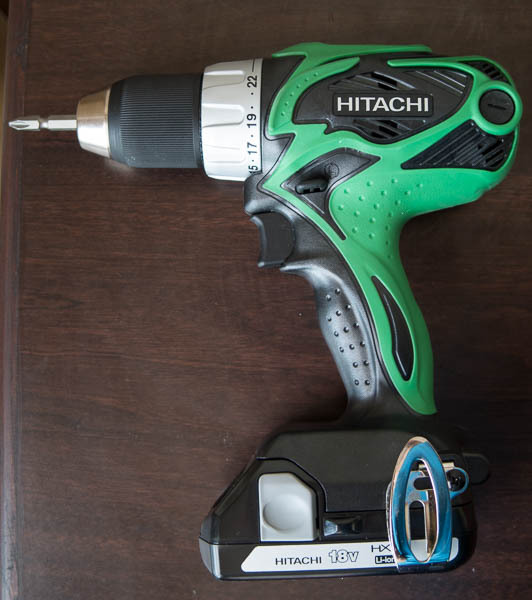 Figure 5: The drill to use. Figure 6: The buttons to use for the extra keys. emove the back cover and unscrew the six screws. 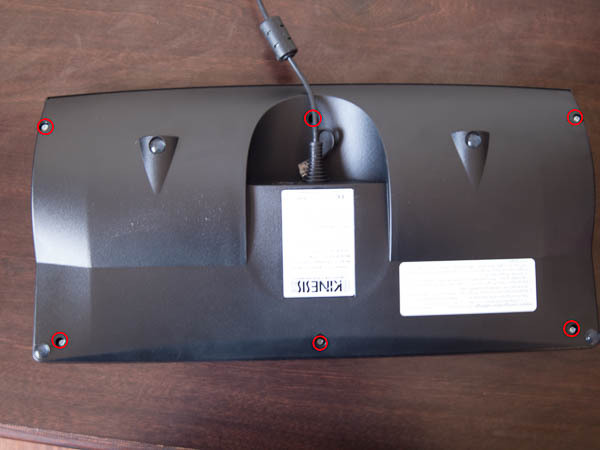 Figure 7: The back of the Kinesis Keyboard with the screws highlighted. 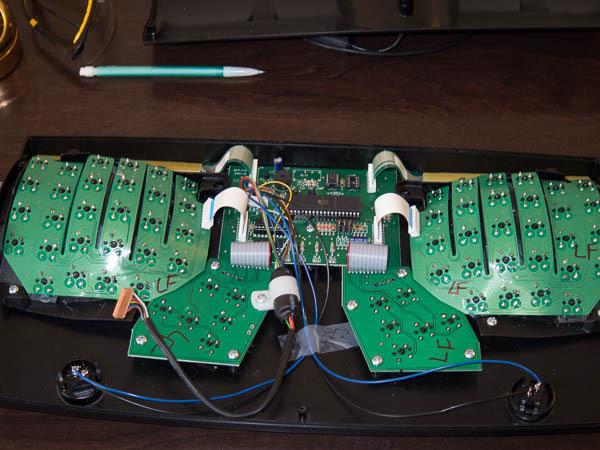 Figure 8: The inside of the kinesis keyboard, including both the top and bottom. placed the buttons about 75mm (2 15/16in) from the edge and 18mm 11/16in) from the bottom. You should tweak the location to best fit our hand placement. Place the button underneath the meaty portion of our palm. 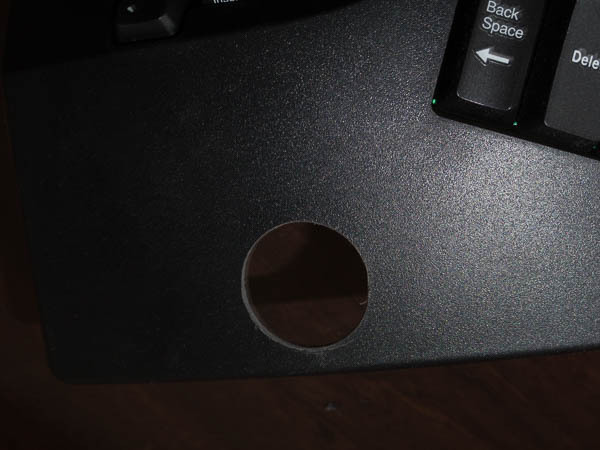 Figure 9: The Kinesis button placement markings for the left side. Figure 10: Drilling the pilot hole before drilling the circular hole. Figure 11: Using the pilot hole to complete the circular hole. 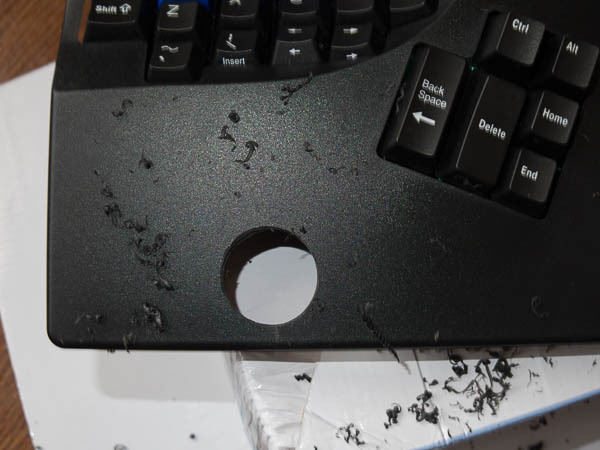 Figure 12: The Kinesis Keyboard immediately after drilling the ciruclar hole. 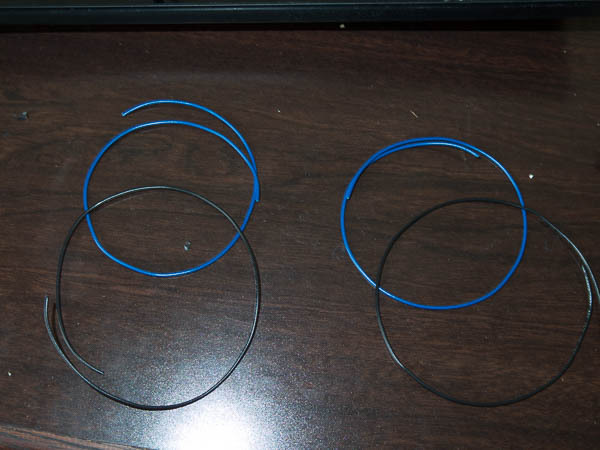 Figure 14: The length of wire I used. 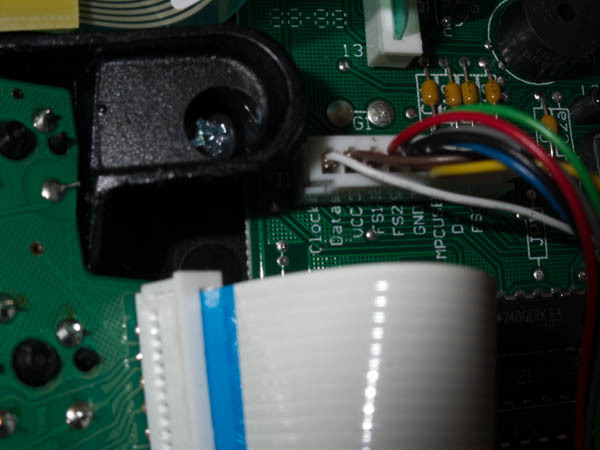 Figure 15: Preparing the wires to insert into the keyboard. 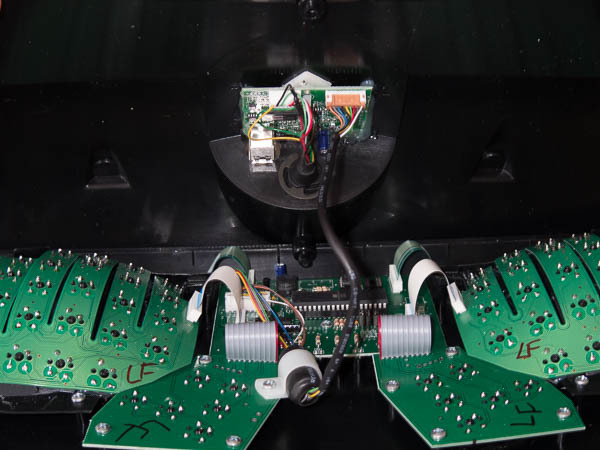 Figure 16: Attaching the wires to the buttons. Figure 17: Detail view of the pin layout for the Kinesis keyboard. Figure 18: The completed wiring. Built with Emacs, caffeine, Oxford commas, and Org-Mode.